** ON TRIAL AT THE LRK3DE ** 17" CWD SE01 #1668 (2015, Flap 2L, Grain/Buffalo) - NEW! 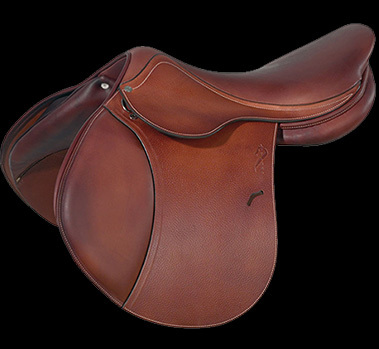 ** ON TRIAL AT THE LRK3DE ** To be added to the WAITING LIST for this saddle, please email info@FrenchUsedSaddles.com with the saddle serial number "#CWD15 39138" in the subject line. Thank you! 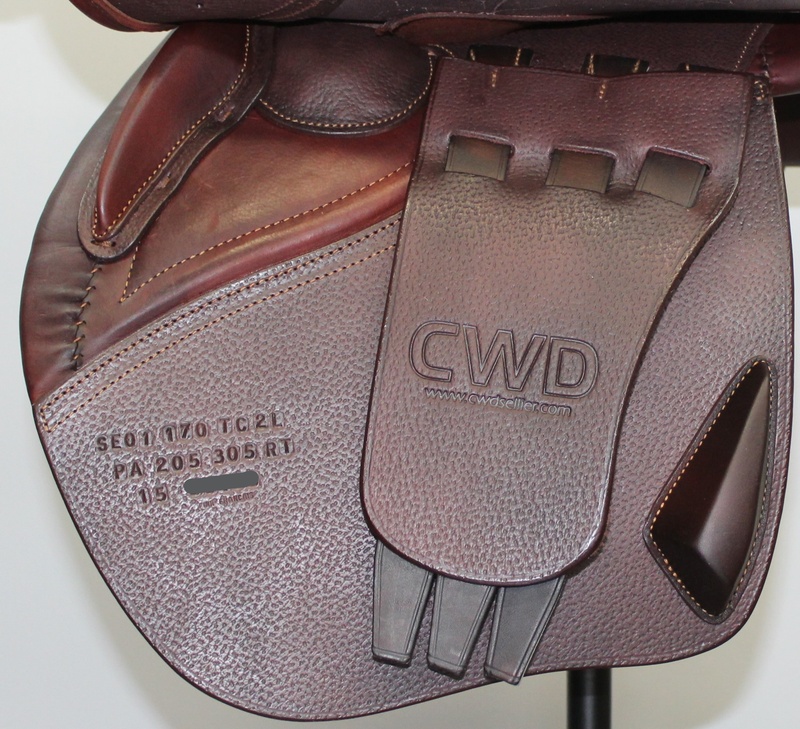 2015 CWD jumping saddle NEW and UNUSED. Dark brown, grain leather flaps with French Buffalo leather seat and knee rolls. 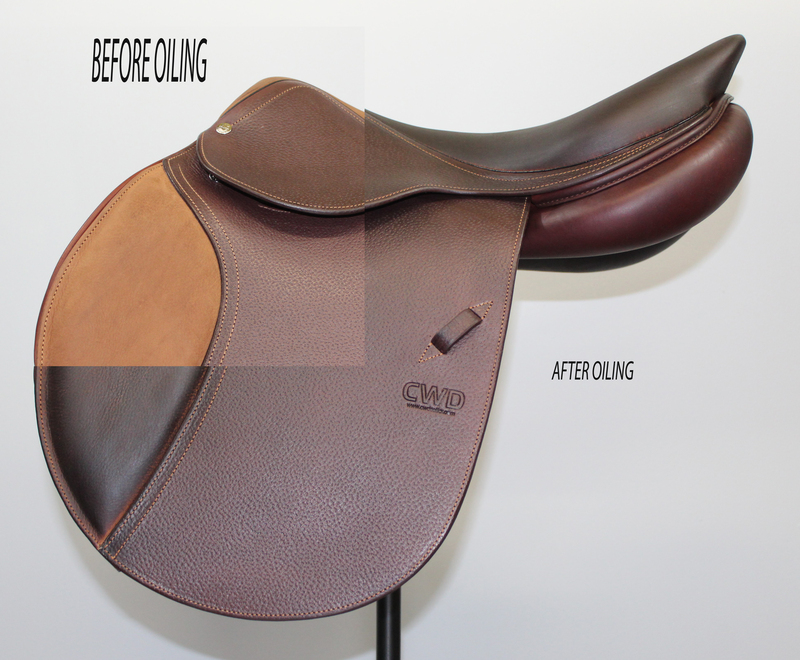 This saddle is in exceptional condition, and has only now been oiled - no rides, despite being a 2015 model. 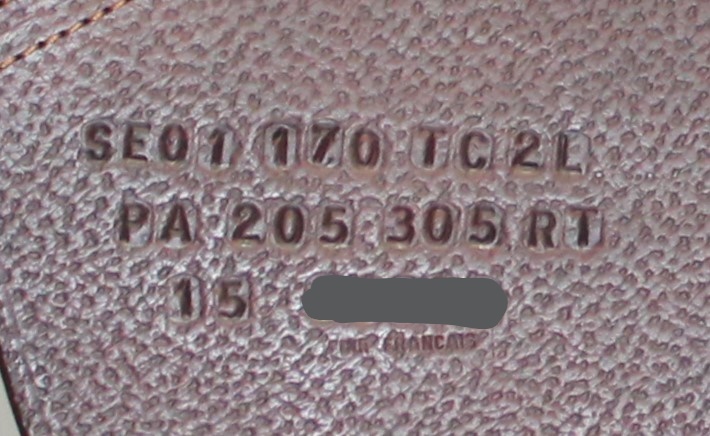 The saddle's only "flaw" is two small holes on the back of the cantle from a previous nameplate. See attached pictures for the transition from before/after oiling! 17" SE01 seat measures true to size with regular twist. Flap 2L measures 14" from the top of the stirrup bar to the bottom of the flap. Flap width measures 13.5" across at its widest point. Tree measures 4" from dot-to-dot under the pommel - narrow tree. Integrated panels for extra close contact. 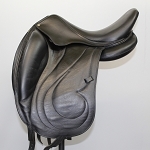 The panels on this saddle would be suitable for a narrower horse with a bit of a wither. 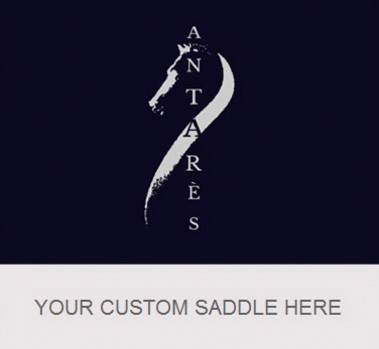 ** ON TRIAL ** 17" Antares Cadence Dressage # A15 210 (Flap 4R, Calf) Like New!